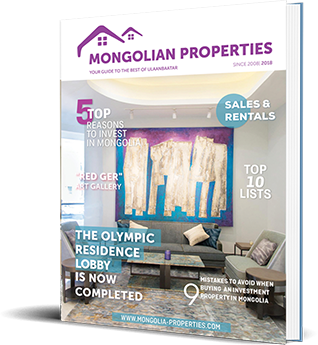 Mongolian Properties is proud to present our bi-annual Real Estate Guide 2018! Top 10 restaurants, bars, cultural sights in UB, and more. Combined with Mongolian Properties' unique market insight, this property guide serves as an ideal guide for those interested in Ulaanbaatar's burgeoning property market.